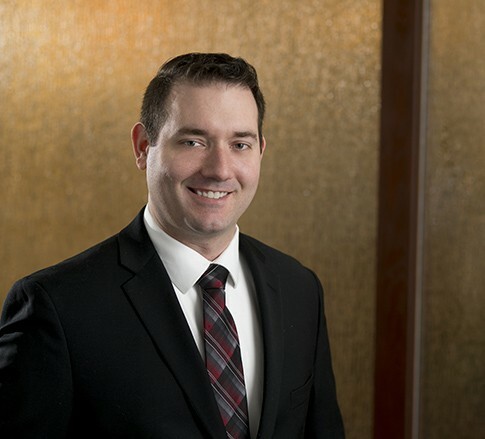 Matthew F. Chase is an Associate in the Energy and Oil & Gas industry groups, focusing primarily on oil and gas and real estate issues. He practices out of the Firm's office in Morgantown, West Virginia. Matthew routinely works on oil and gas title issues and residential and commercial real estate transactions. He has gained valuable experience in these areas by handling title examinations, authoring complex oil and gas title opinions for West Virginia, Pennsylvania and Ohio, and working in-house for an oil and gas production company on due diligence and title defect curative work. He also can be found preparing title insurance commitments, preliminary title reports, deeds, contracts and other legal documentation related to real estate transactions. Matthew enjoys his daily work and responsibilities, as well as the friendly atmosphere in the Morgantown office. The staff and other attorneys make coming to work a positive experience every day. The Firm’s team environment translates into better service for clients, who are the ultimate beneficiaries of these collaborative efforts. Matthew appreciates working at a firm where everyone’s objective is to see their fellow colleagues succeed. He also knows the importance of having fun and letting loose in his spare time. On weekends you will likely find him at a sporting event, primarily rooting for his alma mater, West Virginia University. An outdoors enthusiast, Matthew also enjoys hiking new trails and traveling to new places, having visited Brazil and Chile. Matthew dedicates himself to his practice, and this strong work ethic makes him a true team player.